Tomas Ourednicek and David Kripal have successfully finished the 40th anniversary edition of Dakar Rally, that is widely considered as one of the most difficult ever in the history of the prestigious race. The crew of South Racing Central Europe clocked the 19th time in the last special and brought their Ford Ranger to the finish line in 33rd position overall. 44 hours of racing with almost no pause... Having to climb up from the very last place in the overall classification... Getting stuck on a dune with the starter dead... Racing for half day with no spare tyres left... Tomas Ourednicek could never imagine that his fifth Dakar would be more “adventurous” than the previous four together. Together with his co-driver, David Kripal, for whom it was the first participation in Dakar, they experienced all the highs and lows the marathon race could offer, many times dancing on the edge of withdrawal, but they never surrendered, never admitted the thought of giving up the race – not even when it seemed to be the only logical decision. David Kripal was all smiles after finishing his first Dakar: "It’s a fantastic feeling to be in the finish! In the last stage we started very well, passed many cars, but then we were stuck for 30 kilometers in the dust of one of the Can-Ams, so our time could have been much better, but we reached the finish line, and this is the most important. We’d like to say thank you to everyone who supported us along this long way!" 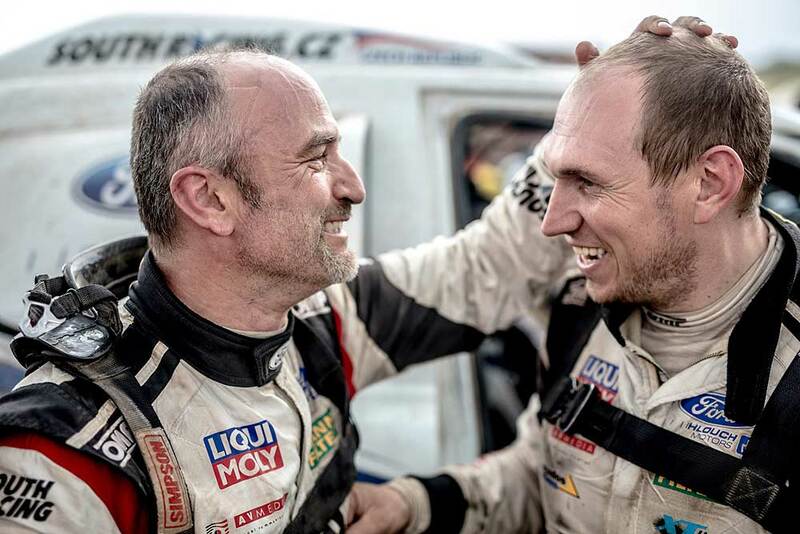 Driver Tomas Ourednicek commented: "We are very happy, because we finished the hardest Dakar ever! For us it was particularly difficult because for most of the race, we had engine problem and it turned out only in the last days that it was caused by a lambda sensor. Until then, we only survived, and we were able to start real racing only in the last three days. These two weeks, these tracks tested man and machine to the absolute limit or beyond, but now we are in the finish. I can’t really describe the feeling!"